Mercedes-Benz provided us a glimpse of its Black Series enhancements applied to the already incredible SLS AMG gullwing coupe. 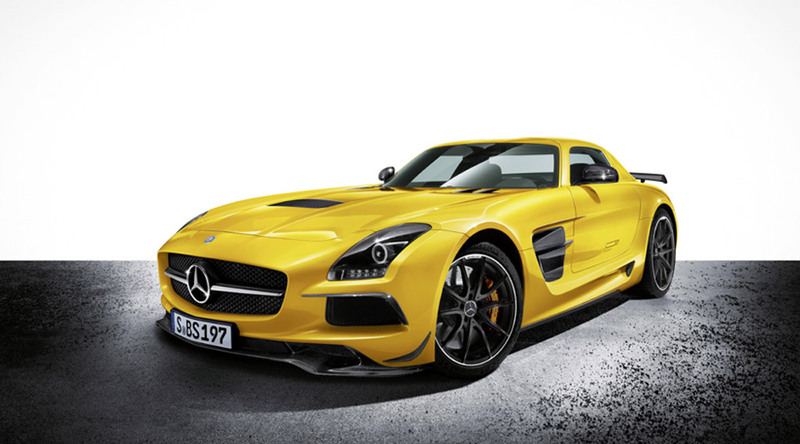 This is the 2014 Mercedes-Benz SLS AMG Black Series. With a 563-horsepower dry-sump V8, the original, “stock” SLS AMG offers just about everything one could want in an exotic sports car. It’s beautiful, extremely fast and packed with technology you’d expect in a Mercedes-Benz luxury car. In fact, it’s even comfortable and relatively practical. And the exhaust note from the hand-built 6.2-liter is tough for even the Italians to beat. 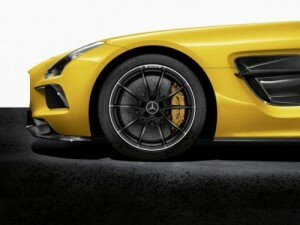 For 2013, Mercedes-Benz announced the SLS AMG GT. It brings not only 20 more horsepower but also tweaks to the dual-clutch 7-speed and adaptive suspension that Benz says make it quicker on the track. That announcement came only 5 months ago. The GT coupes and roadsters have barely had a chance to arrive in the hands of those that can afford their $200,000 price tag, yet Mercedes-Benz and AMG already have an even more outrageous version to show us. The 2014 Mercedes-Benz SLS AMG Black Series debuts at this month’s LA Auto Show. Expect more power, lighter weight and some equipment offered as options on earlier iterations included as standard on the Black Series. Ummm….can you get a loaner one of these? I want to go for a ride. Ha! Not likely. But I assure you that if I do I’ll be happy to oblige.